The Outstanding Invites screen now shows players who been added to your squad, but haven't confirmed their e-mail address. These players won't be getting the invites to your matches, but at least now you know and you'll be able to prompt them to get their account confirmed. 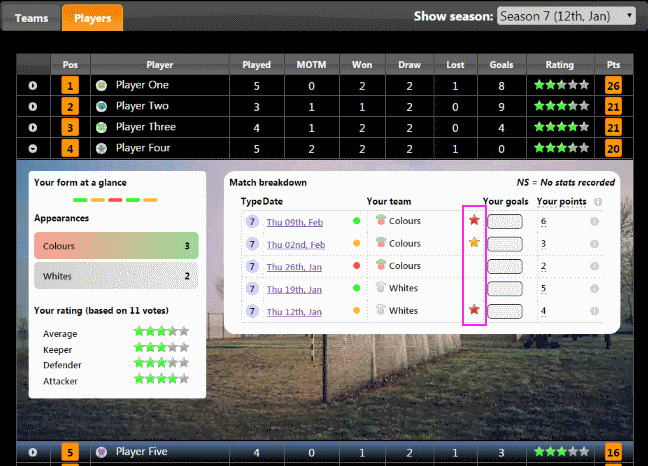 A few additions to the season screen giving a little more insight to the Man of the Match feature. Floating members were being flagged for deletion after 12 months of not logging in - of course they haven't logged in!